Earlier someone said “WhatsApp is the new Brazzers.” and I need to agree with that 100%. 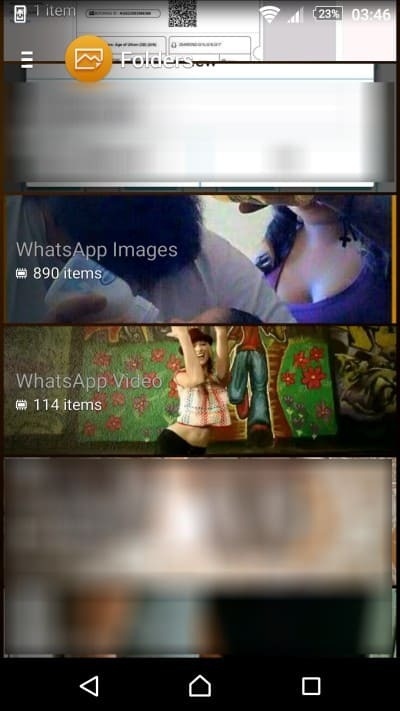 Right from “Hara Hara Mahadevaki” to “Actress Scandals”, WhatsApp is the number one medium to share it instantly. I’m a part of 50+ WhatsApp groups (excluding the ones under Slashsquare network) and someone in some groups, will share something like these. Out of curiosity, we often open them and end up forgetting that we have them on our Android smartphone’s “Gallery” or “Album”. So by end of the day we’ll have 100s of such images and videos in our gallery and it’ll be really hectic for us to remove them all. Moreover if someone sees that, it’ll be kinda embarrassing as well. If you want to stop WhatsApp Media from appearing in Gallery (Android) then you don’t really have a direct option for this, you need to try a different method for achieving this. It is quite simple though. First, we need an advanced file manager, I tried ES File Explorer and it worked like a charm. So I’ll recommend it for this. You can install this app if you haven’t, then open it. 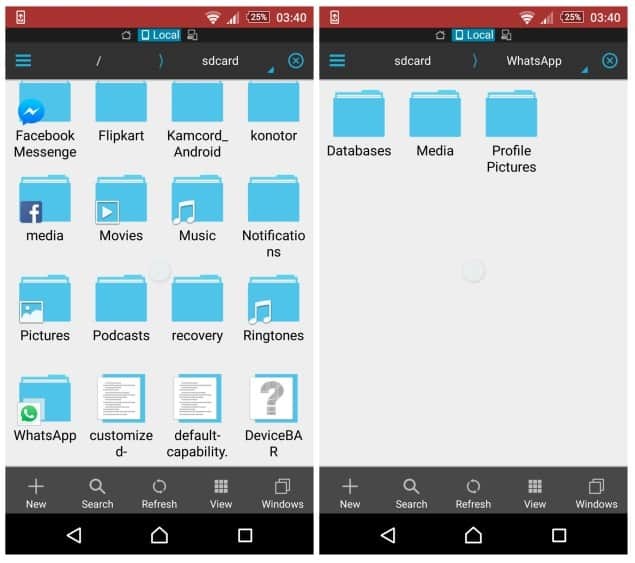 You’ll find folders and files for various apps installed in your Android smartphone, pick the “WhatsApp” folder. 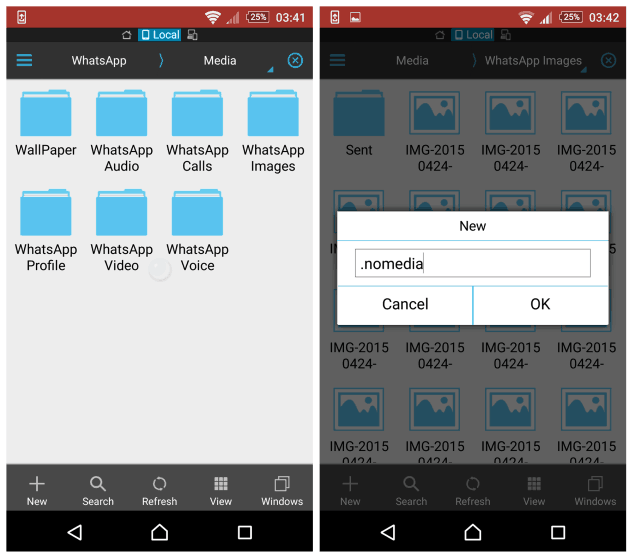 Now you need to create a “.nomedia” file to stop WhatsApp Images from appearing in Gallery (Android). That’s it. Now whenever you download any WhatsApp image, it won’t appear in your gallery or album section. You can also do the same for “WhatsApp Videos” and other folders as well. Just in case, if you want to deactivate this, go to the “ES File Explorer”, enable “Show Hidden Files” option and delete the “.nomedia” file. That’s all. It’ll be back to normal. Have you tried this option? Did you successfully stop the media files from appearing in your album? Or, you are facing any issues? Do let us know in the comments below, we’ll be happy to guide you right away.